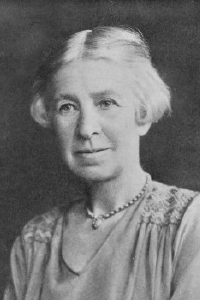 Evelyn Underhill was a British novelist, poet, and writer of books on Christian Spirituality and Mysticism. Her most popular work was Mysticism, still considered a classic today. She would spend her mornings writing and her afternoons visiting the poor. Many consider her a modern-day mystic. This is a website for the Evelyn Underhill Association which continues to promote the study and research of her ideas and her works. They publish a newsletter and plan and promote special events. Amazon Synopsis: The title of the book, Abba, is the term used in more than one place in the New Testament for addressing God as Father and it is with the ‘Our Father’ prayer that these meditations are concerned. At first sight it might be thought impossible to say anything fresh on something so familiar to all Christians as the Lord’s Prayer. Yet the inexhaustible depths of meaning to be found in it may, by the very fact of familiarity, all too easily escape notice and understanding. Amazon Synopsis: An inspirational little book that offers invaluable advice on how to broaden our spiritual horizons and strengthen our inner resources. Amazon Synopsis: An enduring collection of articles that shows how we can unite practical concerns with a spiritual dimension. Amazon Synopsis: Brief extracts from the Underhill book, Fruits of the Spirit, first published in 1942, the year after Underhill's death. Each of these brief pieces is actually a meditation on some aspect of the spiritual life, and makes excellent devotional reading. Amazon Synopsis: Mystical narrative of a soul's adventure. Amazon Synopsis: A selection from Underhill's enduring devotional writings, chosen for their pertinence to Lenten themes. Amazon Synopsis: This collection of writings on aspects of prayer and the vocation and spiritual outlook of teachers was produced by Underhill during the years 1922 to 1937. 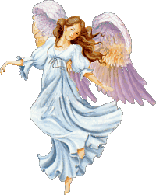 One of our age's great spiritual guides, she writes for those "dwellers in time who are yet capable of eternity." The Introduction gives an excellent overview of her work, readers new to this wise and eloquent teacher will find in this volume onlyu the beginning of the rich treasure awaiting them in her other books. Amazon Synopsis: Evelyn Underhill, a twentieth-century British spiritual writer and retreat leader, is widely known for her compelling exploration of the spiritual life. Underhill offers profoundly simple advice on opening oneself to God. Included here is a cross-section of her letters and her published retreat and radio talks. Amazon Synopsis: Underhill was a noted poet and these mystical poems reflect her inner illumination and joy of living. Amazon Synopsis: While searching through the archives of poet and author Evelyn Underhill, Grace Brame discovered four important handwritten retreats given by Underhill that were thought to be lost. In these writings, Underhill takes up some of the timeless themes of spiritual life: the call of God, sanctity, inner grace, and our purpose in life. Amazon Synopsis: A reprint of Evelyn Underhill's timeless study on the the nature and principles of worship and the main forms in which they find expression in Christianity. In the belief that religious experience is the starting point of theological reconstruction, the author analyses here the characteristics, principles and nature of how man relates to God. The way and degree in which ritual, symbol, sacrament and sacrifice become part of worship is also examined and, subsequently, its principles are illustrated, as embodied in the main types of cults.